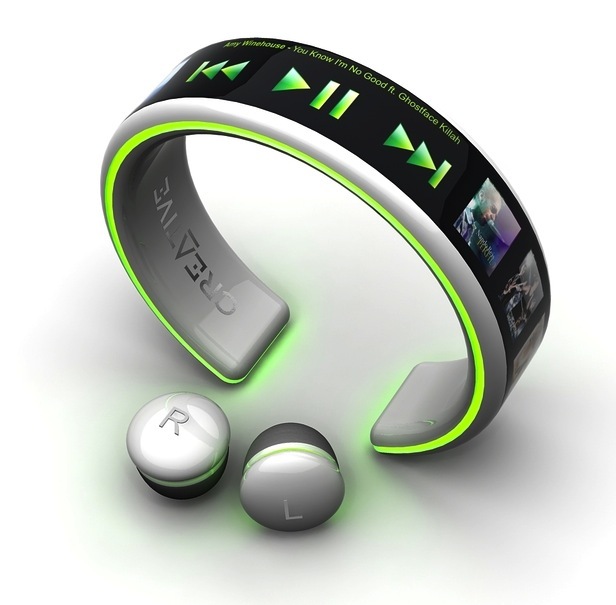 I saw this amazing wearable MP3 player by Dinard da Mata and thought I’d share it. Unfortunately this doesn’t currently exist. The interface is made of OLED and the wireless earbuds look amazing. Wearable tech is coming soon to a theater near all of us. With Project Glass, the iWatch and tech built into your clothes, mobile is going to mean something much more soon.